GNOME is highly customizable and can be tweaked to suit every user’s needs. 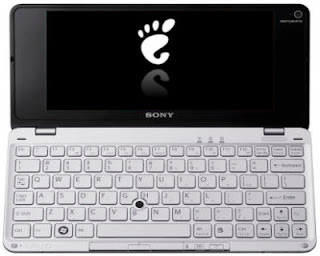 That’s why I think its versatility makes it a perfect desktop environment for Linux netbooks. Since netbook displays are small, desktop space should not be wasted. I have here some tips that I hope you will find useful on how you can optimize GNOME for your netbook’s diminutive desktop area. GNOME comes with two panels by default. 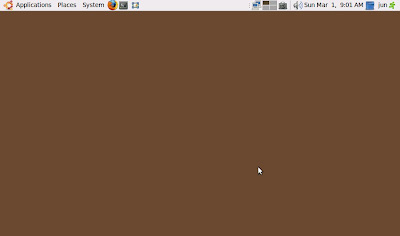 For netbook displays, it is best to use a single-panel layout to save some desktop space. There are two easy ways to make the panel thinner. One is to adjust the panel size; the other is to install and use a minimalist theme. Window Selector can fill the panel area when you open plenty of applications together. With Window List, you don’t have to worry about this as opened windows are displayed as vertical drop-down list. 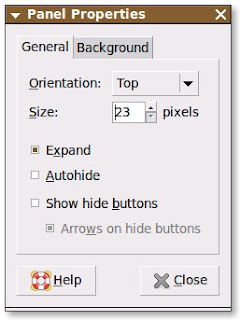 Autohiding panel is optional as some people find it convenient to have the panel objects like the main menu, notifications, and icons present at all times. There are plenty of available space-saving themes HERE and HERE. I usually use ThinMC, Bentham, and Simplebox so look for them. However, there are still plenty of themes that I haven’t explored yet so don’t be afraid to try some. Since you can change the theme of Firefox, Thunderbird, and other desktop applications, it is best to utilize space-saving themes. Like for example, I use the Littlefox theme on Firefox. So there you have it. If you have better ways to optimize a desktop for netbook display, you can always ignore my tips. However, please share with us how you did it via comment so that we too can learn from you. Great post, man ! I tried LittleFox theme on my desktop pc and it's awesome, minimalist, light and optimizes screen usage which turn browsing into a more comfortable experience. Another thing you can do is move the panel to the side. This will allow you to really cut down on the number of pixels used for the panel and use them more efficiently. I do this on my widescreen laptop and it works great. It is much better to edit .gtkrc-2.0 and set icon sizes in menus, buttons, panel to 16x16 instead of default 32x32/22x22. That can save plenty of place. I also use this settings. 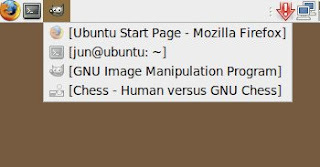 it work on ubuntu very well, but i don't know if it work as well on the different distribution. I have a 7" EeePC, and I also put the panel over on the side. Since it's widescreen, you don't need to worry about horizontal space as much. I have my bar set to 36px wide and it looks great. The only problem is the digital clock looks like arse, and there's currently no analog clock for it. I hear there should be a new one soon-ish though. This should be reversed. 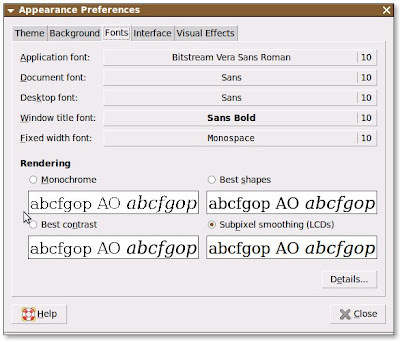 Window Selector is the menu form. Also, use Ubuntu 8.10+'s DarkRoom window border: it's thin and still looks good.